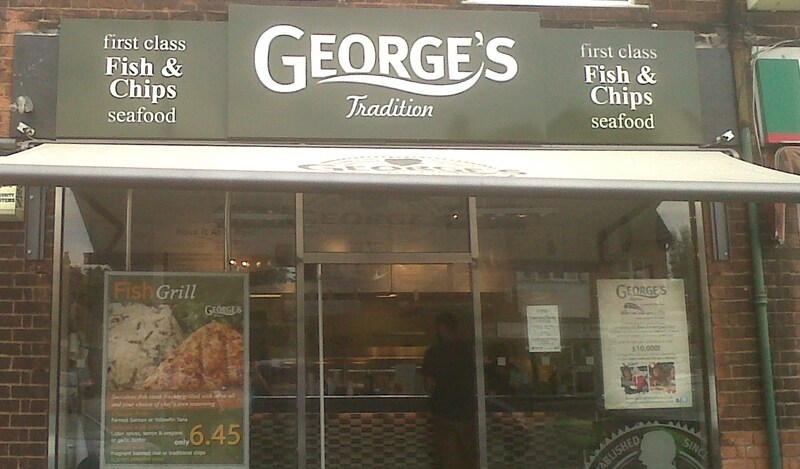 I like the Fish and Chips at George’s Traditional and I have sampled their delights in their shops in West Bridgford, Chilwell, and Long Eaton. I do find them to be a little expensive, but I do also think that they are worth every penny. I was quite amazed recently to find out that they are offering a 99p lunch so I really just had to try one (or two) of those out. The nearest outlet for a lunchtime snack for me was the one on Melton Road in West Bridgford, so over a couple of lunchtimes I popped over to check the 99p deal out. On their website they even seemed as shocked as I was “In a rush? Fancy a great value lunch? Watching the £’s? Our 99p menu offers great value food at only 99p! We thought you might not believe us, we still don’t believe it, but honestly it’s true!” So what can you get for that 99p? Well on the official 99p menu you could have a small sausage and chips with gravy, a chip butty, or a fish butty of fish goujons. The day I walked into the West Bridgford location they were also offering a Homemade Fish Cake and Chips for 99p so I decided to try that one out, just in case it was a one-off, today-only kind of offer. I was really surprised to get the amount of food that I received for my 99p. 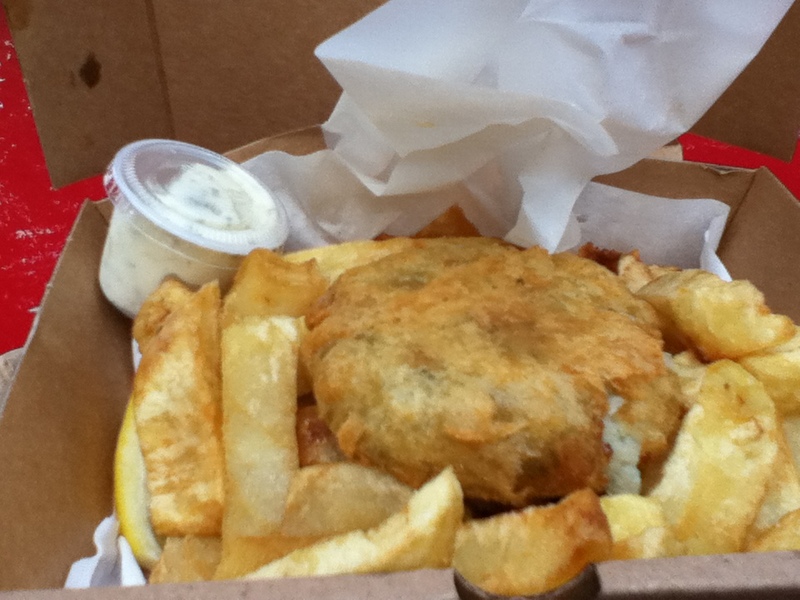 I was honestly expecting a small fish cake and about 7 or 8 chips, but I actually got a normal amount of chips and a decent sized cake, plus a small pot of tartar sauce. This was a real bargain and genuinely a pleasant surprise to be served this for just 99p. 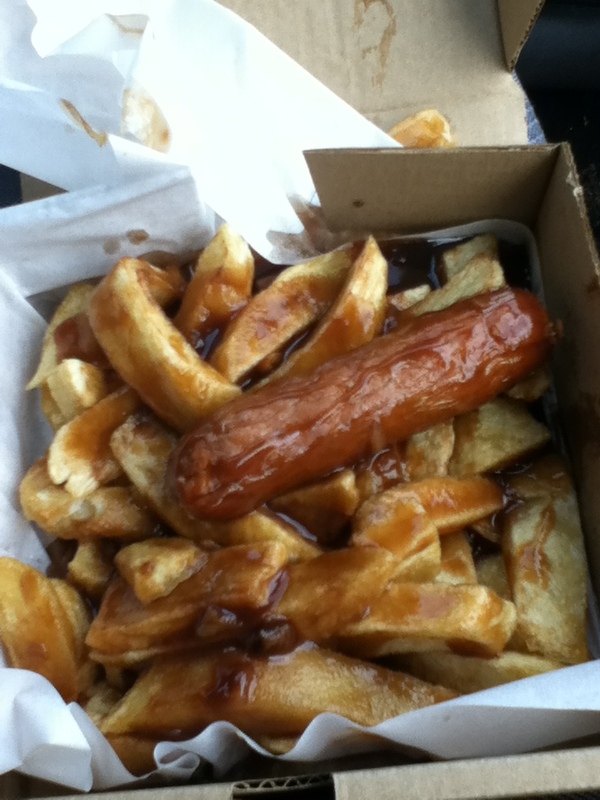 I was so amazed that I returned the next day and took advantage of their Small Sausage and Chips for 99p, OK the sausage was small, but yet again another large portion of chips for the money, all covered in that cheap chip shop gravy, which on its day (or lunch) does the job! None of these 99p offers are as good as the full priced menu items but they are like about a 6th or an 8th of the price so you really cannot go that far wrong. I am still incredulous that they can offer this deal, but at the same time I am very glad that they do as it is a fair exchange for one of my shiny gold £1 coins.